Bankwest opened their doors over 120 years as Agricultural Bank of Western Australia. In 2008 Bankwest joined the Commonwealth Bank Group. 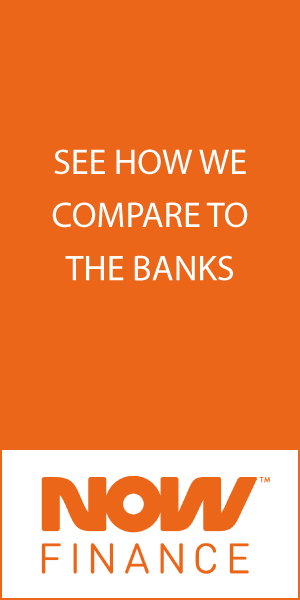 Bankwest more than 10 branches Australia wide, with a branch in many major capital cities. Bankwest has two personal loan products and a car loan. Bankwest Unsecured Personal Loan and Flexible Personal Loan. The key features of Bankwest’s Unsecured Personal Loans include the option to borrow up to $50,000, option to make additional repayment and a competitive interest rate. Bankwest’s negative an $8 monthly fee, the $195 application fee and a fee for early repayment. Bankwest Personal loan approval time vary; some applications will be approved on the same day. If they require additional information, it anywhere between 2 and 5 business days. Looking to do home improvements, take a well-earned holiday or simply consolidate your outstanding debt? Whatever it is you're dreaming about, make it happen sooner with our low rate Unsecured Personal Loan. Manage your money your way with flexible repayments and a redraw facility. Plus, theres no security required. $195 to $249 Establishment fee. $8 to $10 Monthly administration fee. $0 up to $250 Early repayment fee. If you’re an existing Bankwest member you may have applications approved and funded on the same day. For more complex applications approval times vary between 2 and 5 working days. Do you have an Bankwest personal loans calculator? Yes. View the Bankwest Personal Loans calculator. If you’d like to apply online for an Bankwest personal loan, visit Bankwest’s website by clicking here. There are many additional factors Bankwest consider when assessing your application, but the above are the most important. If you feel like you may not meet their eligibility criteria, it may be best to save! If you have already applied for an Bankwest personal loan, you can check your application status by calling 13 17 19, 24/7. Bankwest’s Flexible Personal Loan gives you the option to redraw additional payments you may have made.